I know what you’re thinking! I thought it too. Why in the world would I want to eat brussel sprouts? It’s every child’s nightmare to have to sit in front of a plate of brussel sprouts and be told you can’t get up until you clean your plate. Well, these are not your mother’s yucky boiled sprouts. These turn out amazingly buttery soft with a hint of cabbage flavor and smokiness from the charred outer leaves. 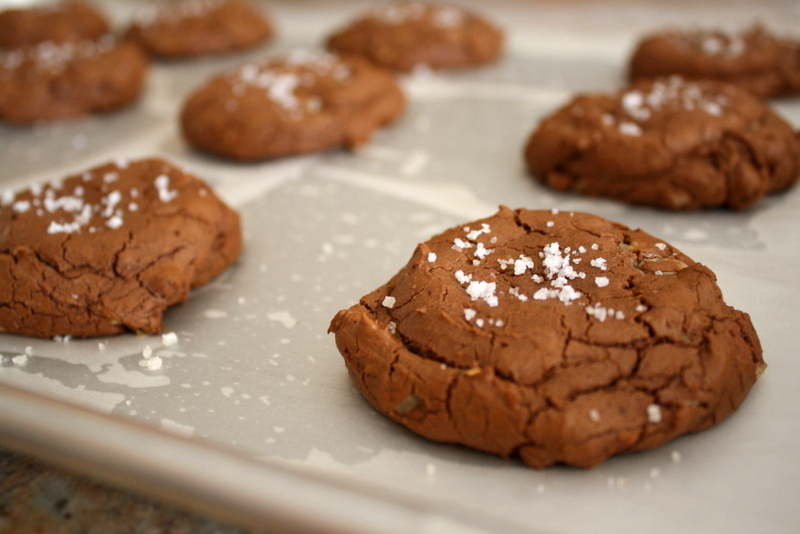 Are you ready for the world’s easiest recipe? Four ingredients never tasted so good together; brussel sprouts, olive oil, salt and pepper. These basic steps work for any type of vegetable you would like to roast. Clean and cut the vegetable, sprinkle olive oil, salt and pepper and roast in the oven. I have roasted carrots, broccoli, and cauliflower in the same way. 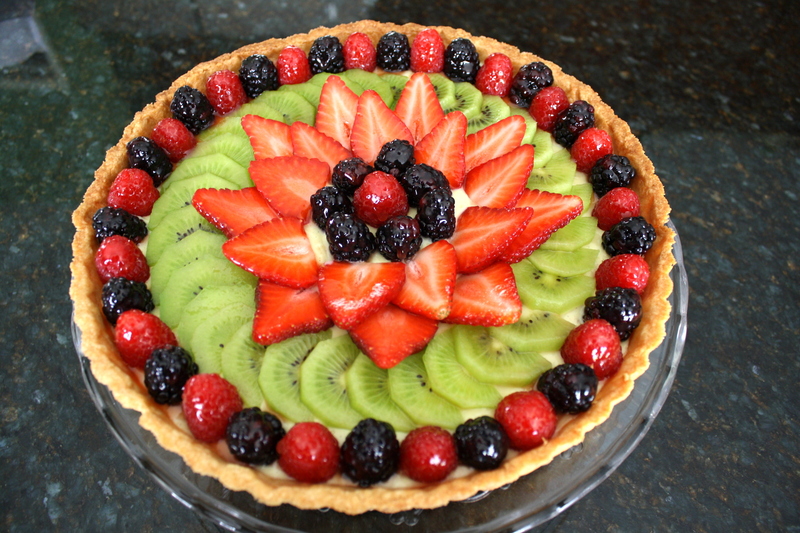 They all turn out wonderfully because it brings out the natural flavors and sweetness of any vegetable. Peel off limp outer leaves of brussel sprouts. Cut the stem a bit and cut them in half lengthwise. Place them on a sheet pan in 1 layer and drizzle olive oil, salt and pepper. Toss to combine. Roast in the oven on the top rack for 25-30 minutes, until browned and tender. Schnitzel, schnitzel, schnitzel, I love saying schnitzel…….with a German accent, of course. What I made here is actually a schweine schnitzel, pronounced SH-VINE schnitzel. This refers to a pork cutlet that is breaded and deep fried. I opted for the healthier shallow pan fry with my schnitzel though. Have a told you I like to say schnitzel? This whole meal came together because I saw some really fresh brussel sprouts in the grocery store. 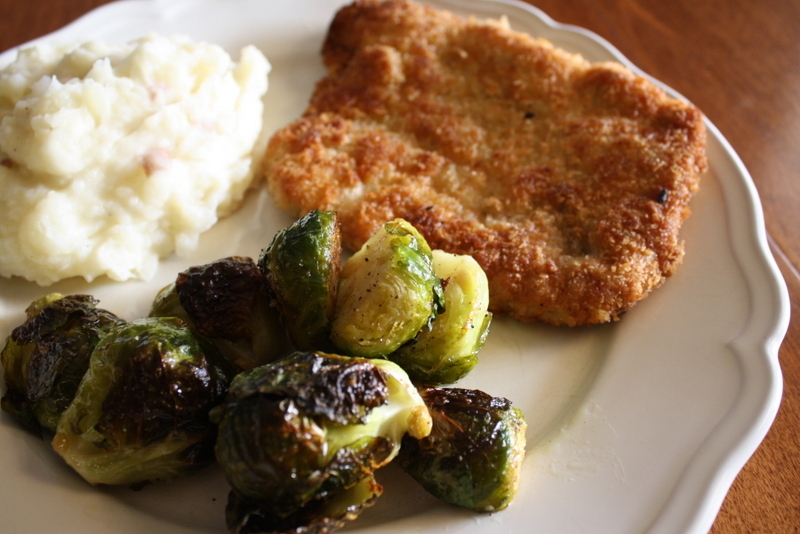 Brussel sprouts made me think of my husband (who loves them), and he is German, so that made me think of schnitzel. Of course, I had to add in the mashed potatoes because he loves that too. That is the humble beginning of this Very German Dinner. Start by laying out three shallow plates with the dredging ingredients. This is about once cup of flour, seasoned with salt and pepper. 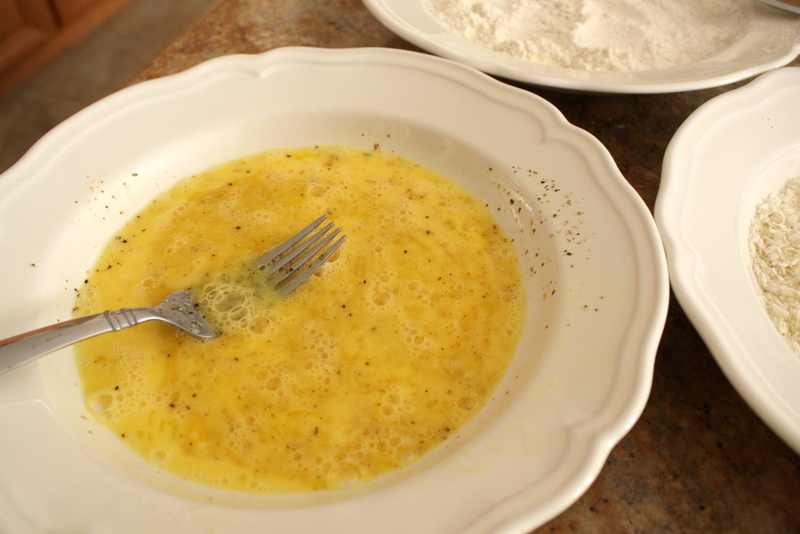 Here are two beaten eggs, also with salt and pepper. Lastly, this is Panko bread crumbs. You guessed it, season with salt and pepper. You want each layer to be seasoned well. 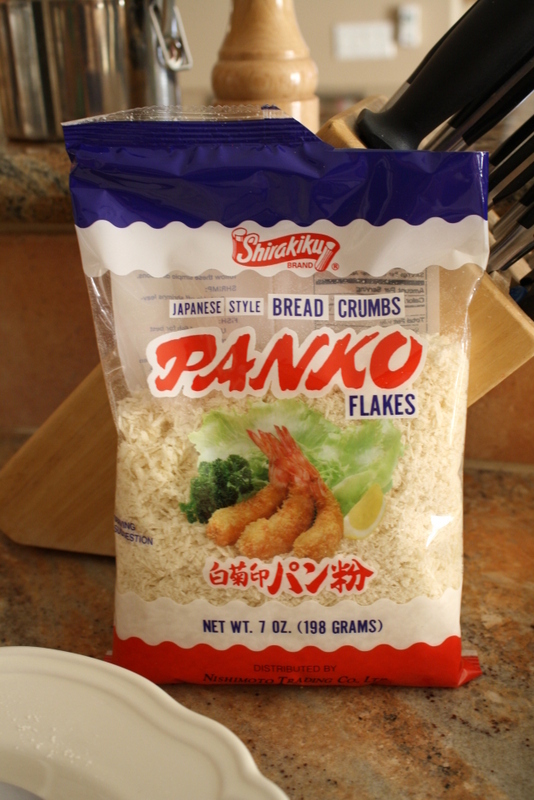 I am forever indebted to the Japanese for creating the panko flake. It’s the best way to get texture and crunch into anything that you want breaded. 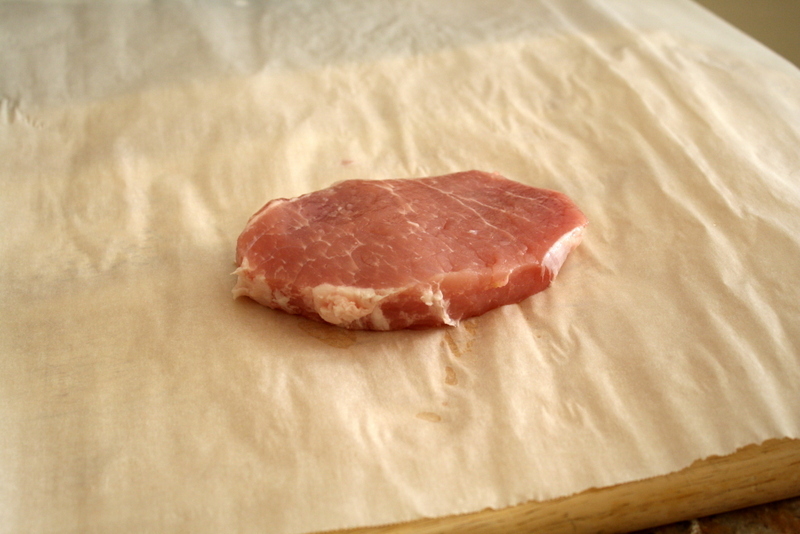 Here is a lonely pork loin chop, sitting on a large sheet of parchment paper on my cutting board, minding its own business. It has no idea what’s about to happen to it. Poor thing. Half the sheet is folded over so it can’t see what’s about to take place. Get ready to take out your day’s frustrations on this pork chop. The trick to pounding the chop into a cutlet is not just go crazy mad on the thing. There is a method. First of all, use the smooth side of your mallet, not the spikey side. Start pounding with even force from the middle out. 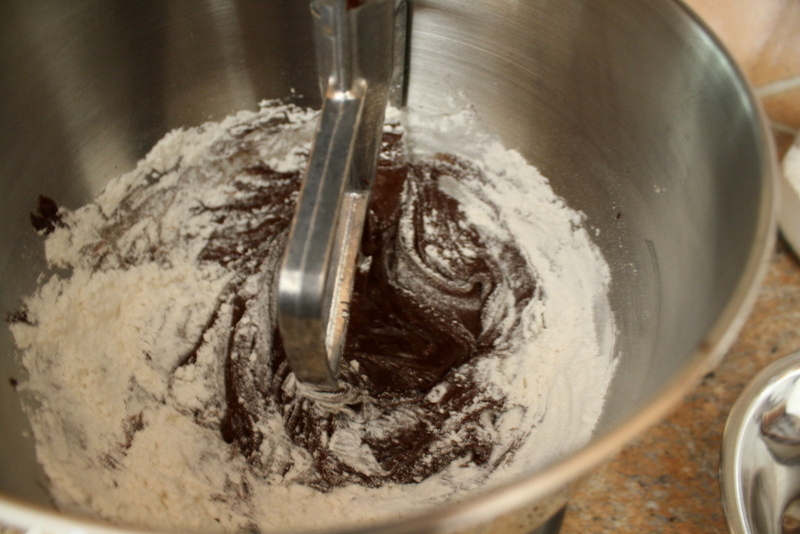 As you pound down, finish with a sliding motion towards the outside of the chop. You are basically coaxing the chop into an even thinness. This is what it should look like when you’re done. The cutlet should be about double the size of the chop. This also tenderizes and reduces cooking time. My favorite reason is because it maximizes the amount of flavor and crispy crust you get per bite. When you are done pounding out the cutlet, set up your dredging station. 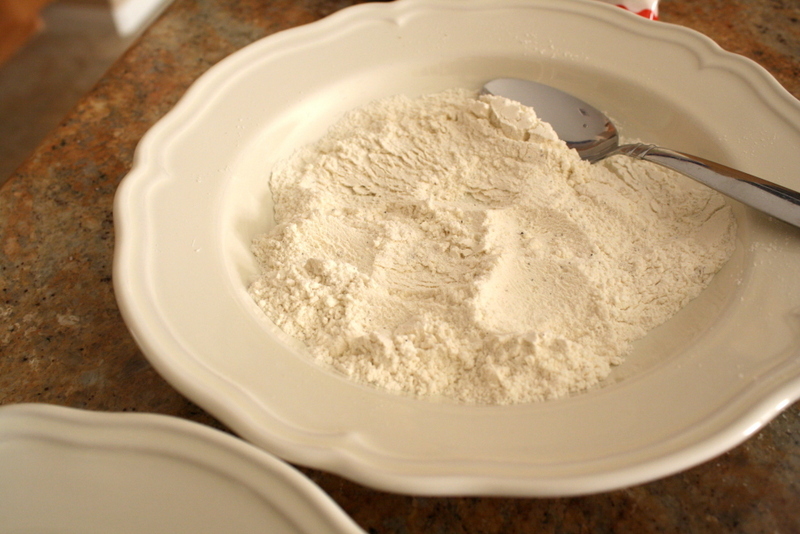 Start with flour on both sides. 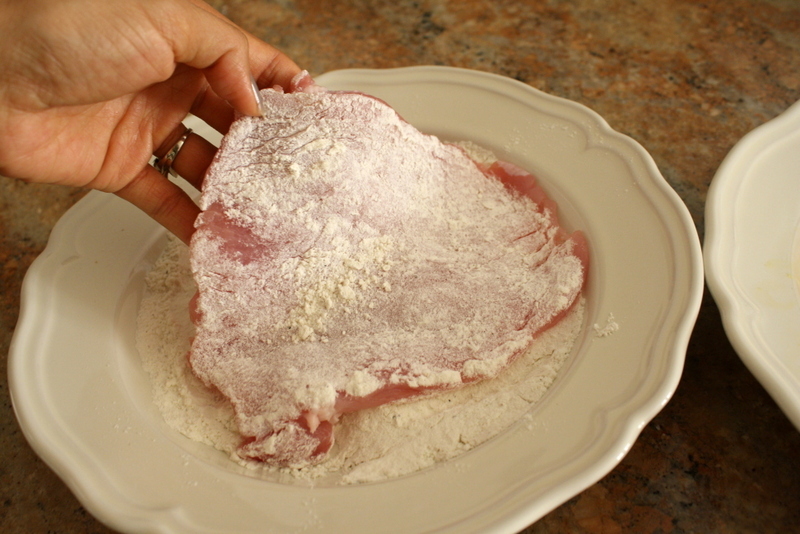 Use just a thin coating and shake off the excess. Then dip into the egg on both sides. Last is the panko crumbs. 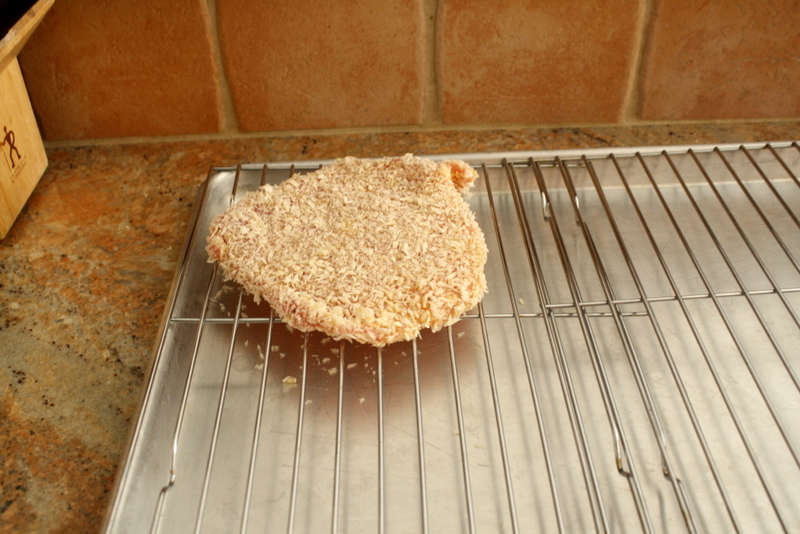 Sometimes, I find that I have to press the panko into the surface of the cutlet to get it to stay. Gently lay it on a baking rack over a pan. Oh, and did I mention, try not to bread your own fingers in the process? I had a camera in my right hand the whole time, so I have an excuse. 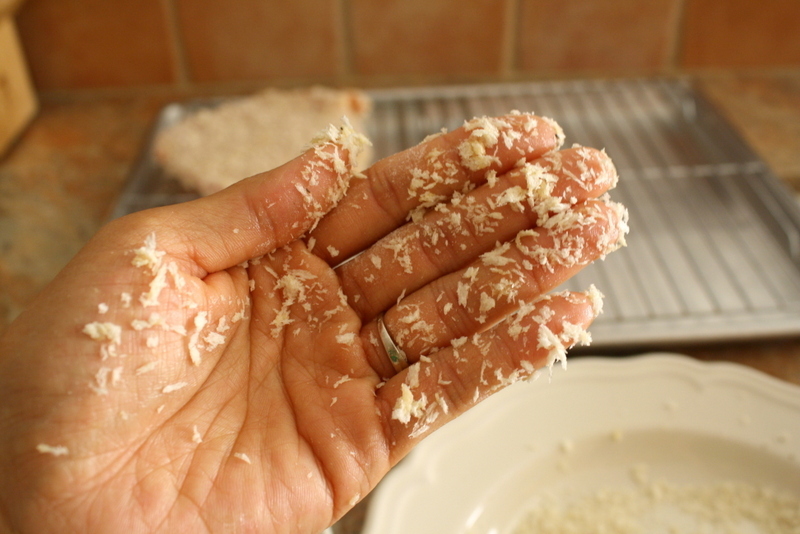 Usually, you want to keep one hand wet and one hand dry so this breaded hand incident doesn’t happen. 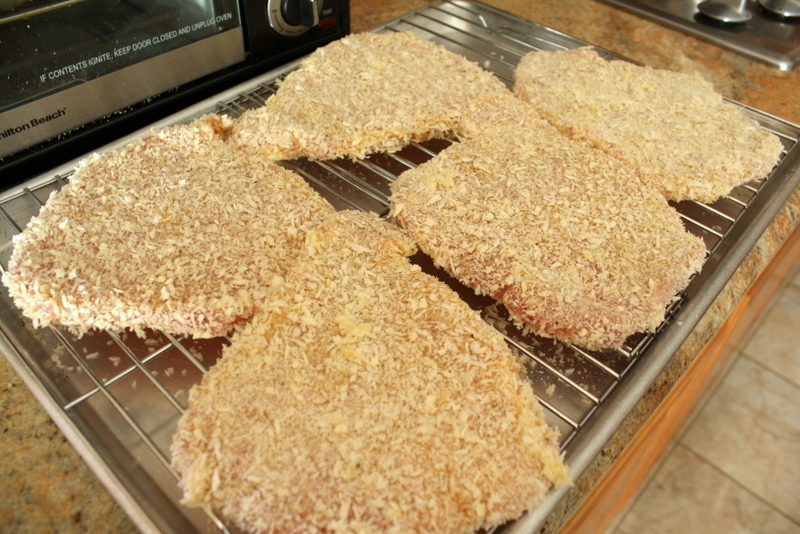 Here are the beautiful cutlets, ready to get fried up in my pan to a golden brown. 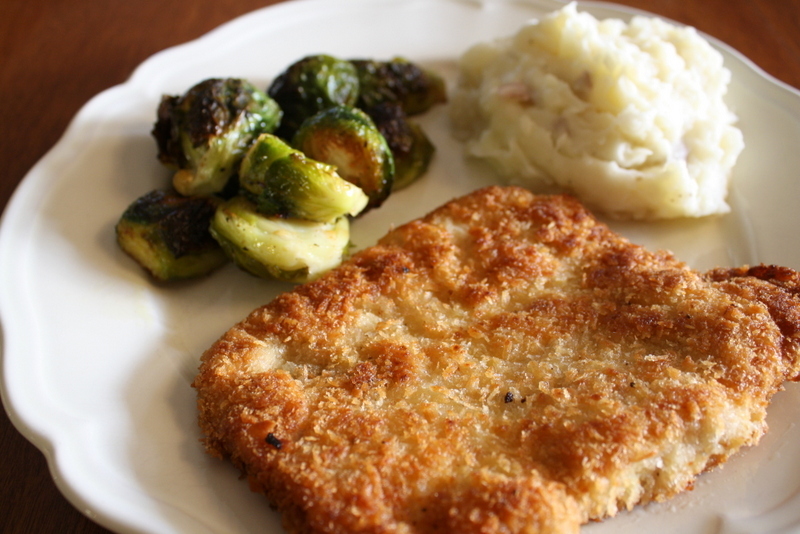 The schnitzel turned out beautifully juicy on the inside and crispy crunchy on the outside. Making sure that each dredging plate has salt and pepper is key to a flavor-filled pork cutlet. 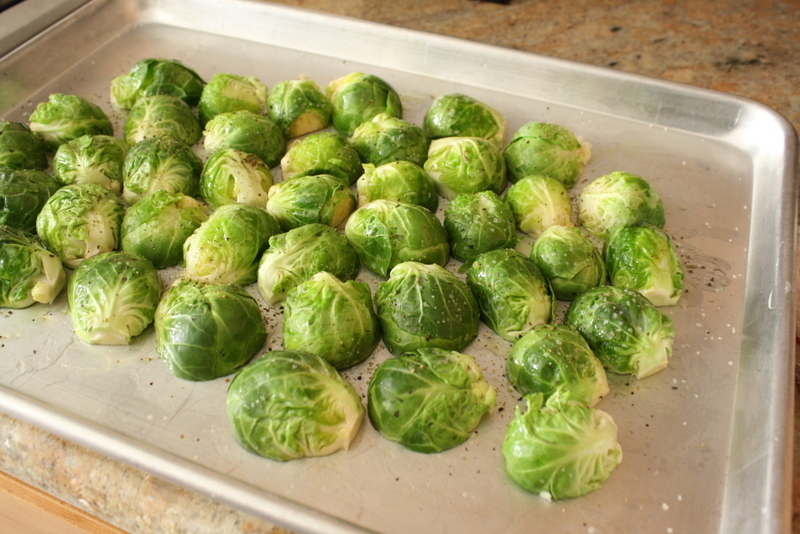 Enjoy these with mashed potatoes and roasted brussel sprouts. I will be posting the brussel sprouts recipe soon! 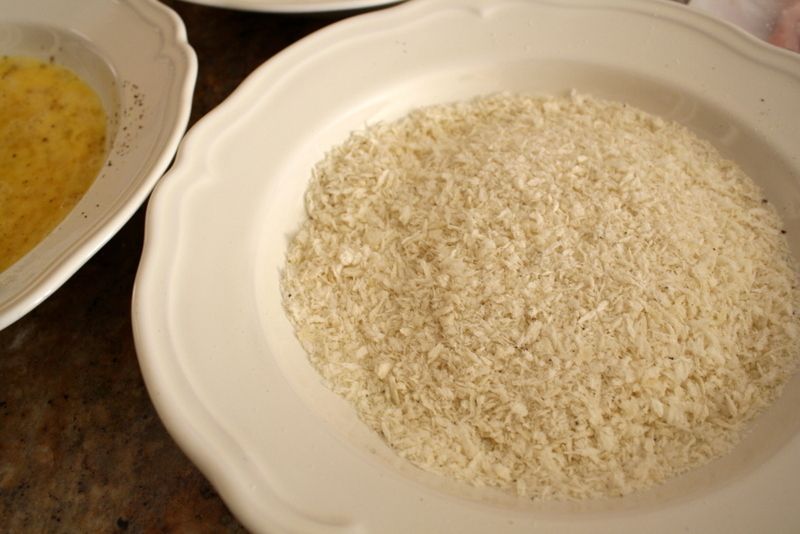 Prepare three separate plates and place the flour, eggs, and panko each in their own plate. Season each plate with salt and pepper. 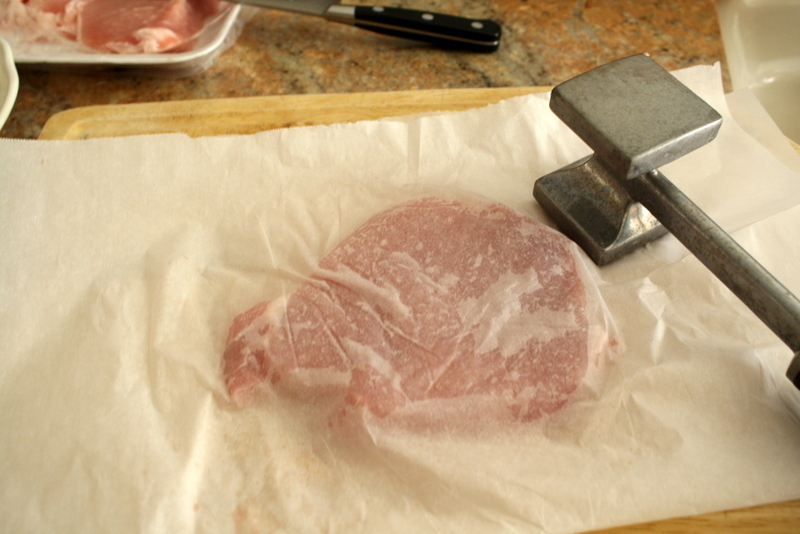 Place your pork chop on a parchment lined cutting board. 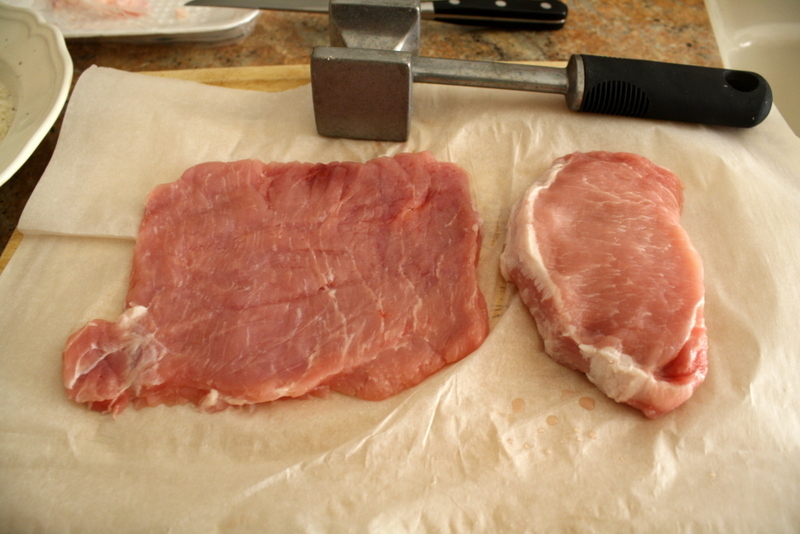 Fold over and pound the chop with a mallet until about twice the original size or ¼ inch thick. 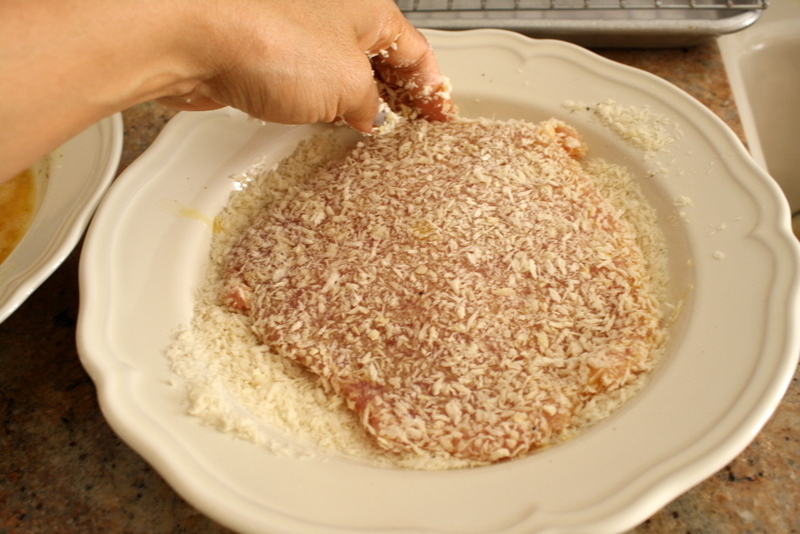 Dip the pork on both sides into flour, eggs, and panko crumbs in that order. Cover the bottom of a shallow frying pan with canola oil. Fry each chop until golden brown on each side. Enjoy while hot. I am squeezing in every last bit of summer strawberries that I can. The prices are starting to go up at the grocery store, so that’s how you know that they are going out of season. 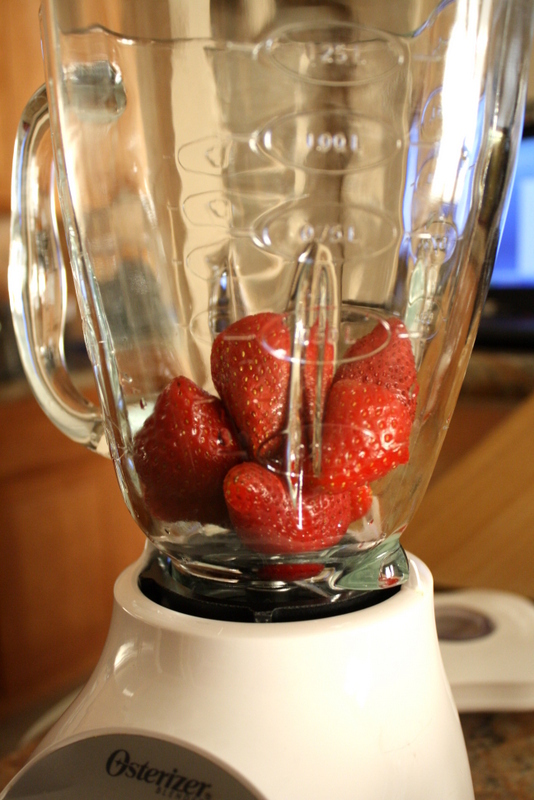 Add in the beautifully sweet strawberries to the blender. Now you know why my favorite color is red! 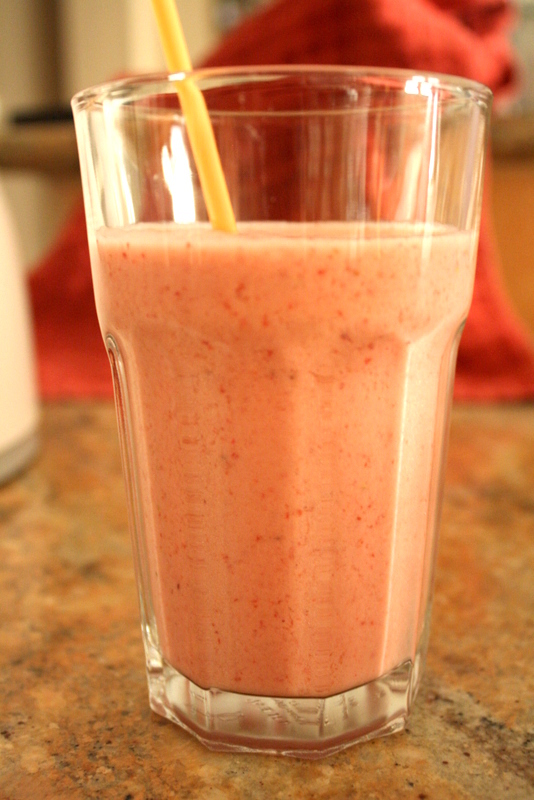 Add in the remaining ingredients and blend it all up until it looks like a whirlwind of creamy good strawberry-ness. I love that I can see all the bits of strawberry through the glass. 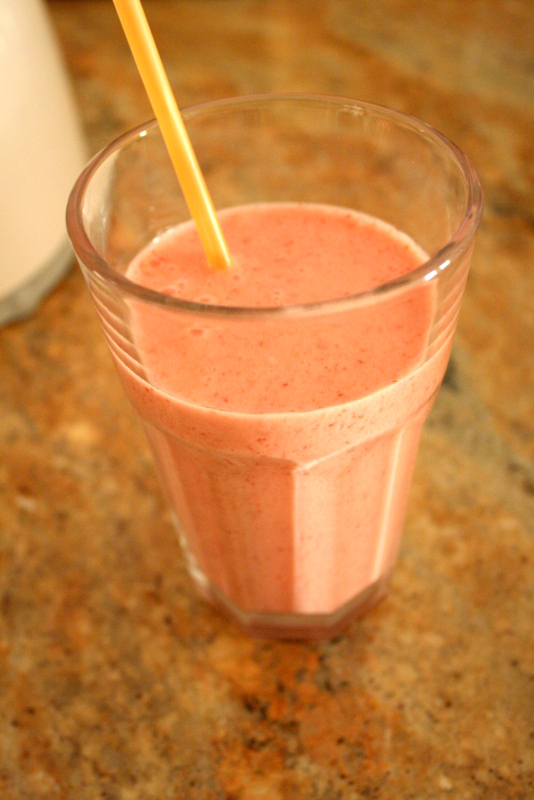 This smoothie is refreshing and satisfying, especially during this long hot summer we’ve been having in Southern California. Hot weather puts me in a bad mood, but this smoothie helps to readjust my attitude. Who knew a smoothie could be so powerful? 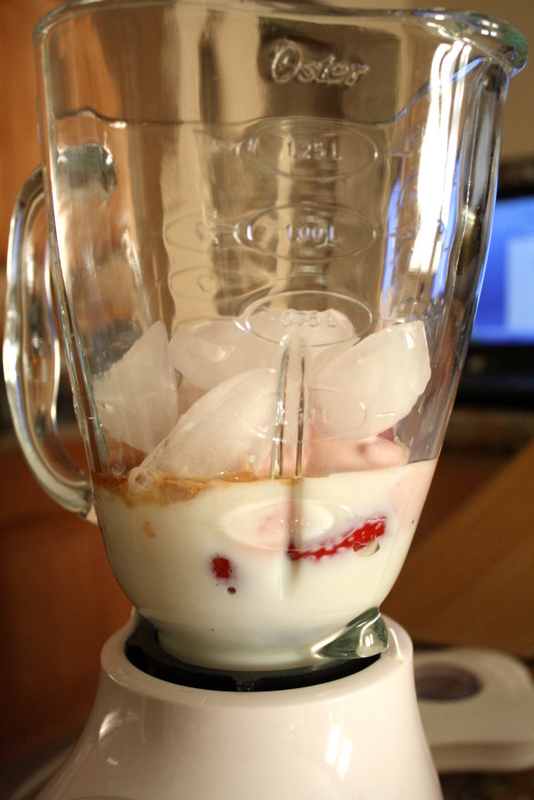 Put all ingredients into a blender and blend until smooth. Pour into a glass and enjoy! 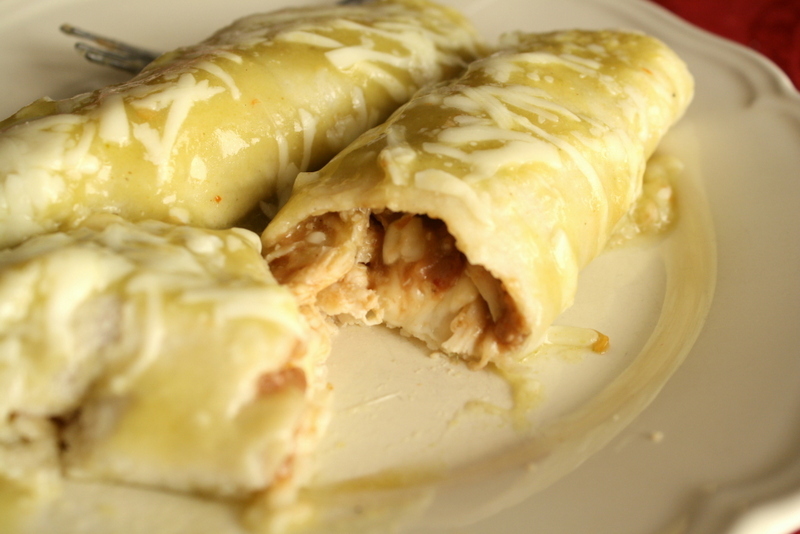 These chicken enchiladas were a hit with my kids because they are simple, yet flavorful. As most moms know, kids like simple flavors with not too much going on. 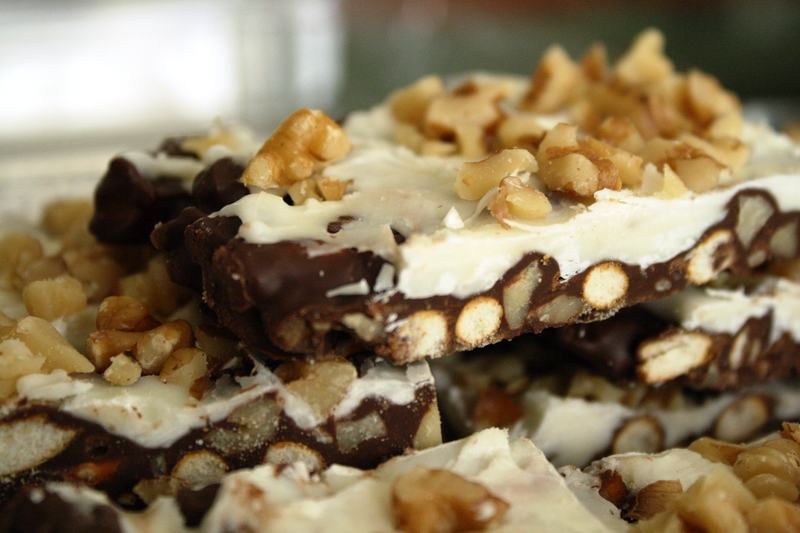 And as most moms know, we don’t like to spend a ton of time in the kitchen, so this recipe satisfies both kids and moms! 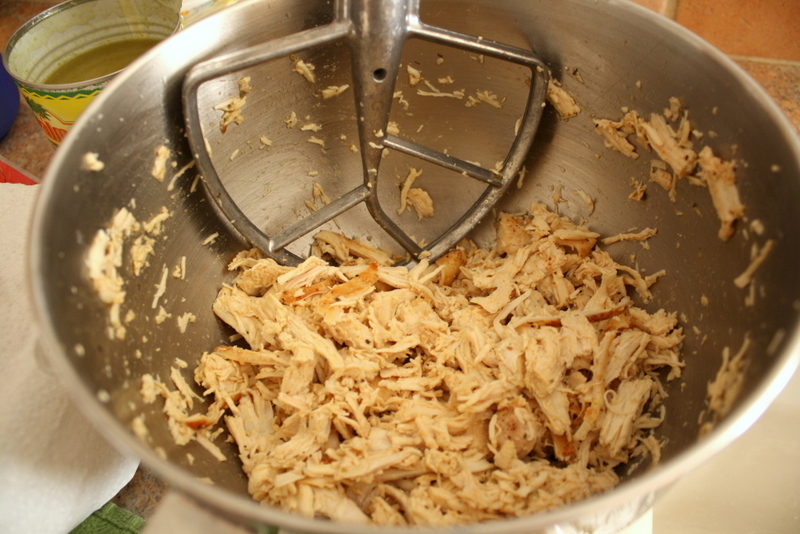 My favorite new tip is shredding chicken in your stand mixer. It’s genius people, just genius I tell you! 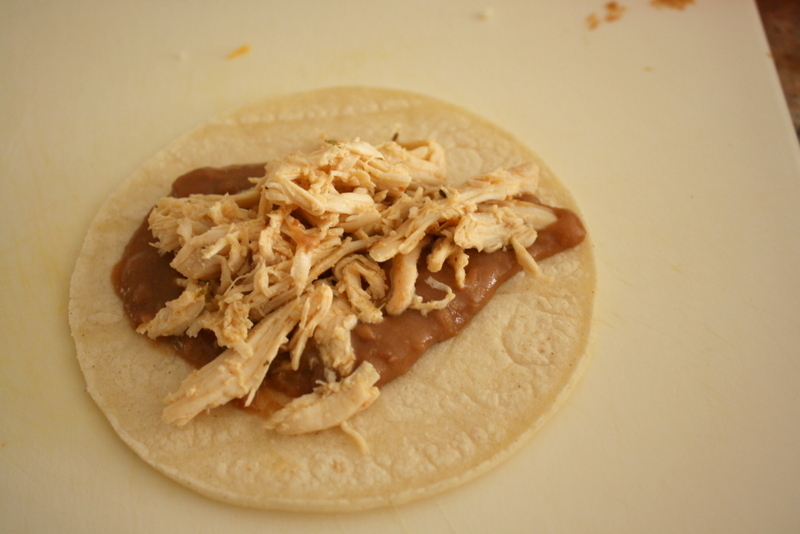 Warm up some corn tortillas then slap on some canned refried beans and chicken on top. Enchiladas are not enchiladas without cheese, so don’t be stingy with the cheese. I used monterey jack here. You can use anything you have on hand. 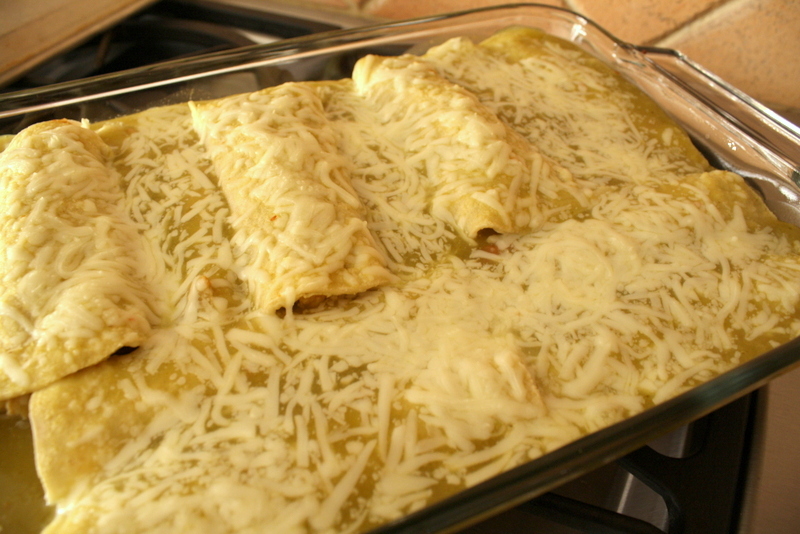 Place all the enchiladas, snuggly into a 9×13 pan and bake until bubbly and all the cheese is melted. Serve to your family while hot and await the praise they will bestow upon you. Stir to combine refried beans and milk in a microwave safe bowl. Microwave for 3 minutes. Prepare 9×13 pan by pouring some enchilada sauce, just to cover the bottom of the pan. 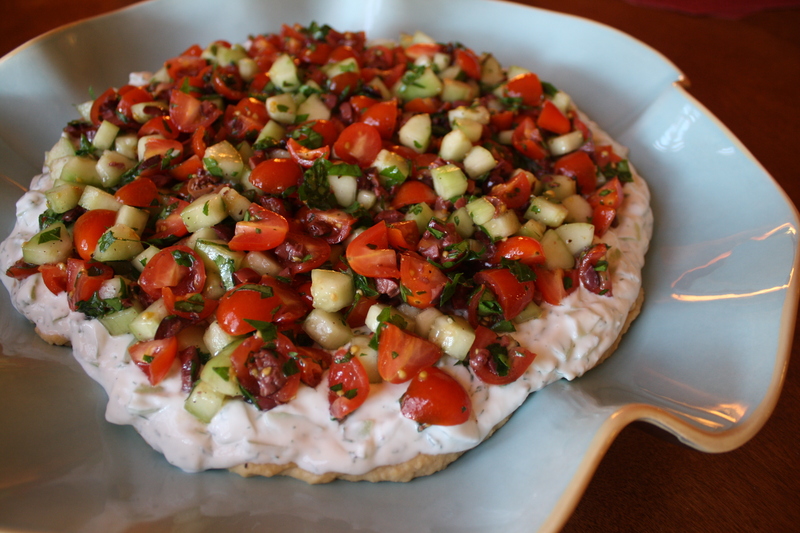 Take the remaining sauce and mix in the sour cream. 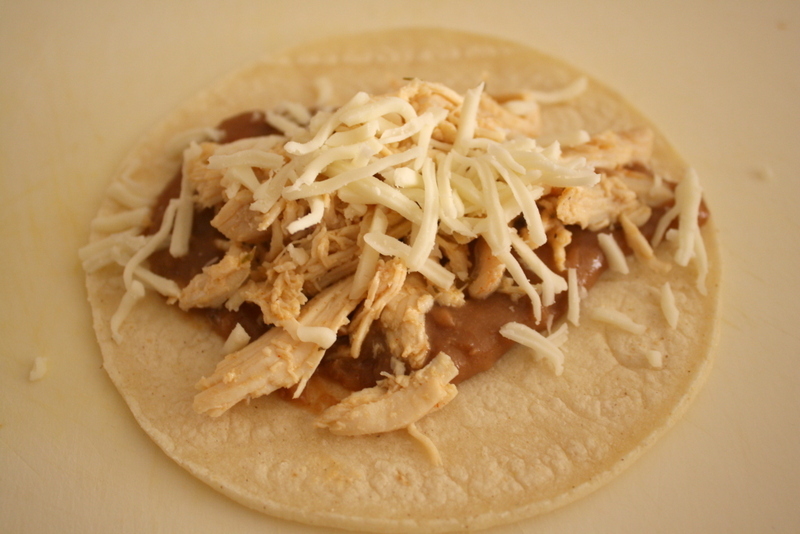 Warm the tortillas and spoon on beans, chicken then cheese. Roll each enchilada and place seam side down in pan. Pour sour cream enchilada sauce on top and sprinkle with cheese. Bake at 350 degrees for 30 minutes or until bubbly and hot. Don’t make these cookies the way I did. I know that sounds weird, but please heed my warning! 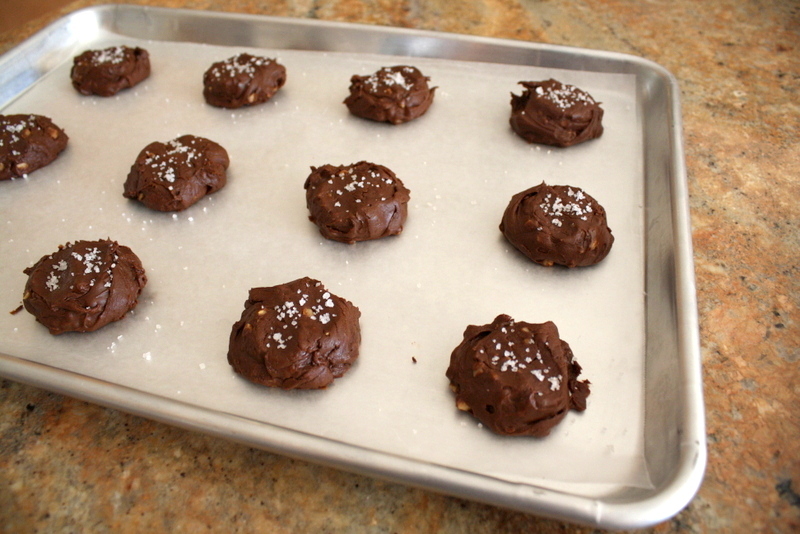 Actually, everything about this cookie was great except………I put WAY too much sea salt on them. 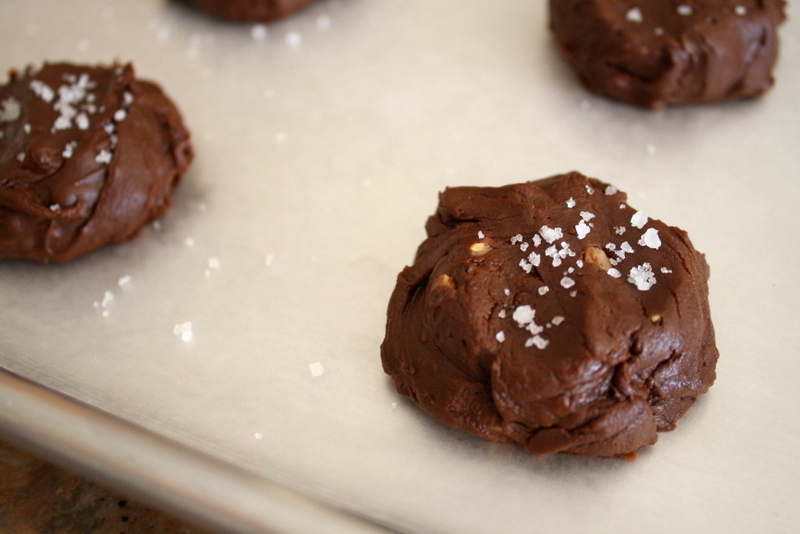 I forgot that sea salt is much saltier than normal table salt, hence do not overdo the salt on these cookies!! I beg of you. 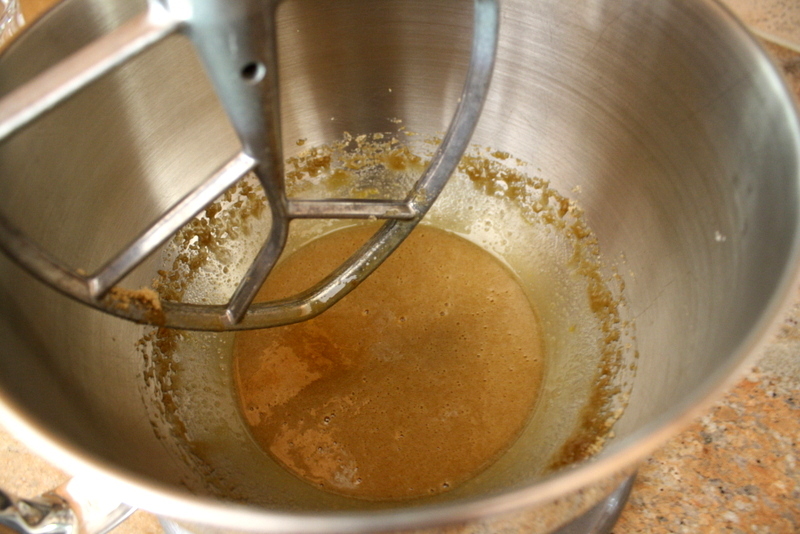 Mix together the eggs, sugar and vanilla. 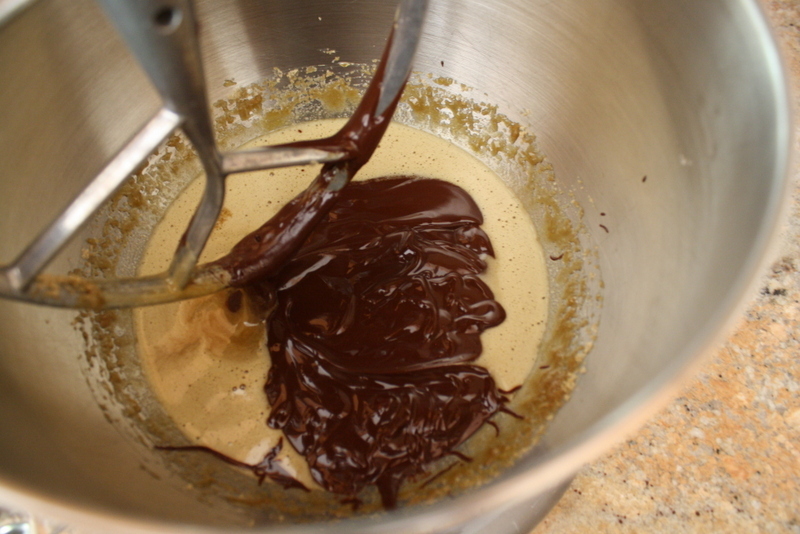 Dump in the melted chocolate and butter. Lick the chocolate bowl when no one is looking. I won’t tell! I used an ice cream scoop and then pressed the cookie batter down for even cooking. Do you see the amount of salt on here? Use half as much as this. Trust me. Mother knows best. 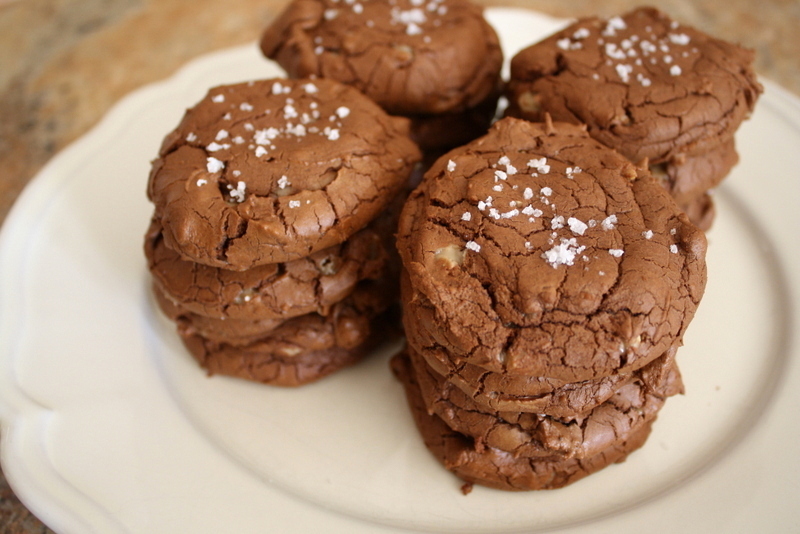 This brownie cookie is delightfully light and not very sweet. I love the surprise crunch of the toffee chips too. It really is a good balance between brownie and cookie. The balance of salty and sweet however, was way off. Hence the warning.